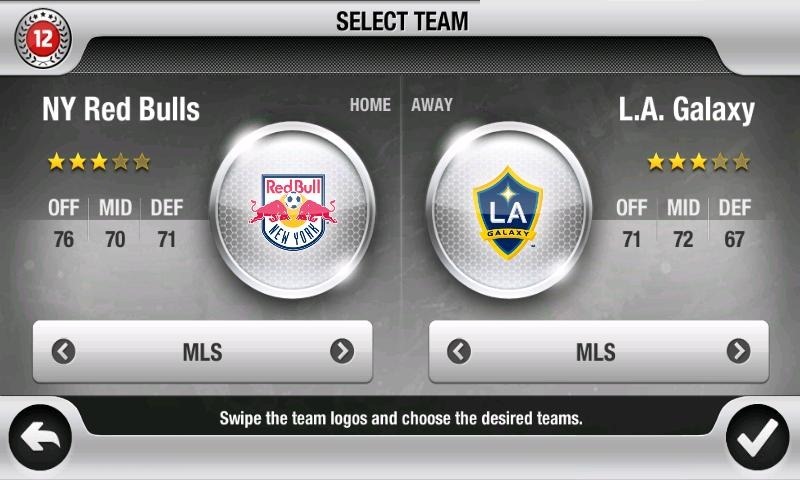 Here in the States, we call it soccer, which actually makes little sense. Our neighbors across the pond have a more accurate term for the game, however: football. To be honest, I'm not really sure where the crossing of terms came into play, but football in the U.S. is definitely not the same game as football in other countries. 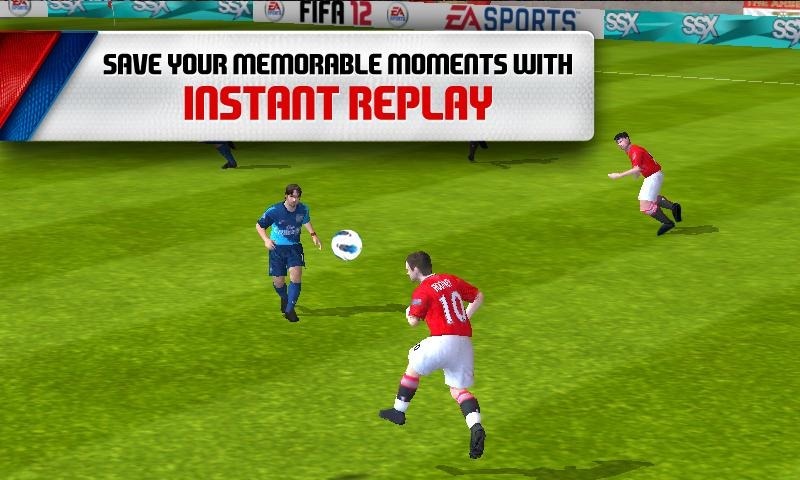 Regardless of what you call it, EA just released a new game for all who love the thought of kicking a ball into a net: FIFA 2012. 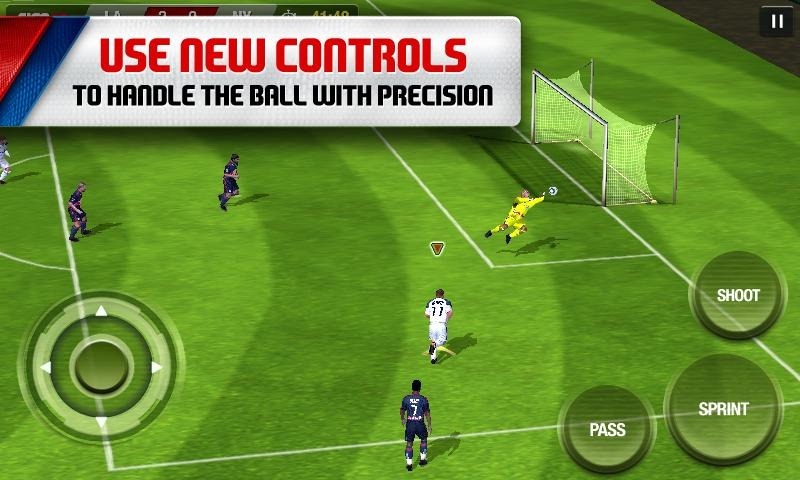 FIFA '12 brings everything you love about soccer (football) directly to your mobile device, including 22 officially licensed, playable teams and more than 15,000 players, controls schemes that let you handle your players with precision, and 360° player movement. It's like playing football (soccer) without every having to get off the couch. You know that sounds at least a little bit appealing. Okay, so maybe you're not the soccer (football) type. Maybe you prefer a sport that has the same name no matter where you are in the world. Maybe you prefer to throw a ball at a hoop instead of kick one at a net. If you meet those requirements, we have good news: EA hasn't forgotten about you! 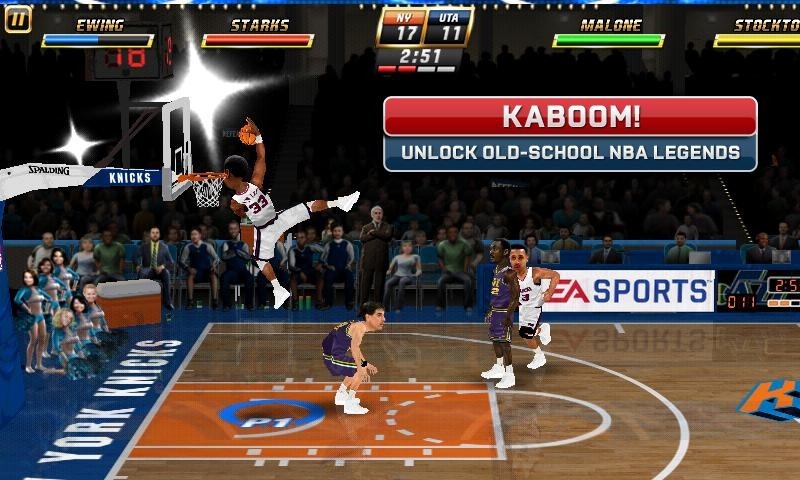 In fact, it just released NBA Jam into the Play Store. 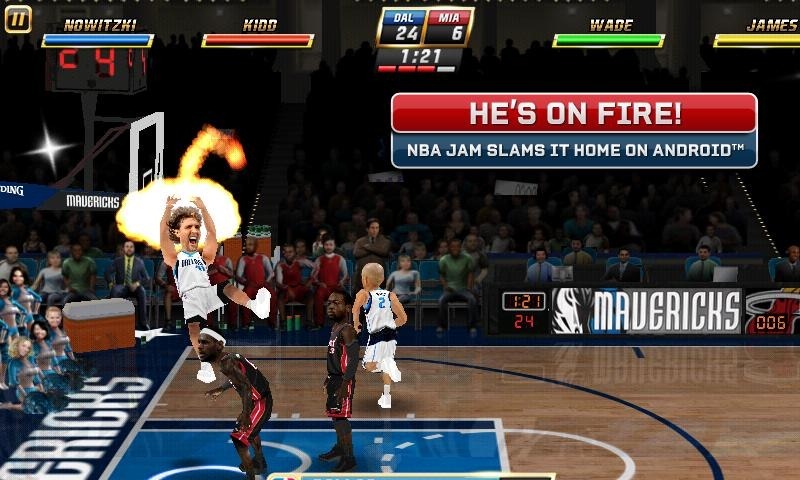 Yeah, NBA JAM. ...and you thought Dirk had a big head before. 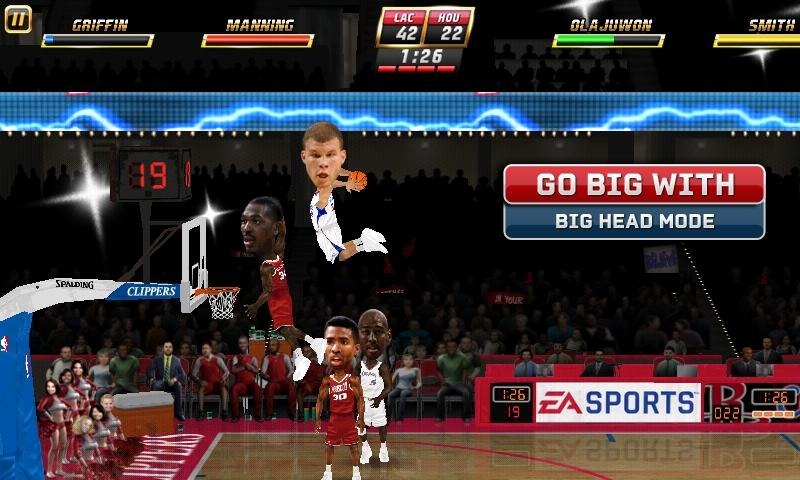 This new version of NBA Jam is a throwback to the game that first showed up on the SNES and in the arcade scene back in the day. It's the same two-on-two, in-your-face, big-headed basketball of its predecessors, and it makes me nothing short of happy to see it on Android. It features three varying modes of play: Play Now, where you jump straight into the game; Classic Campaign, where you play through a full season of b-ball; and Local Multiplayer, which allows you to play against an opponent over Wi-Fi or Bluetooth. Both games are $4.99 in the Play Store, hit the respective widget below to grab the download for your part of the world.